One of the things we love to do with our wedding album designs, is to layer the images such that one feature image becomes the key image, and smaller highlight images are placed around it. In that way, we direct the eye through the page much the same way that a film maker directs your attention thru quick cutaway shots to various details all tying into the same theme. Here you can also see what a fantastic wedding venue the Four Seasons Disney is. With loads of beautiful scenery outside including this fantastic infinity pond, its a photographers paradise. We can scoot out for a quick set of romantic wedding photos, and get you right back into the air conditioning. Really one of our favorite venues in the state. 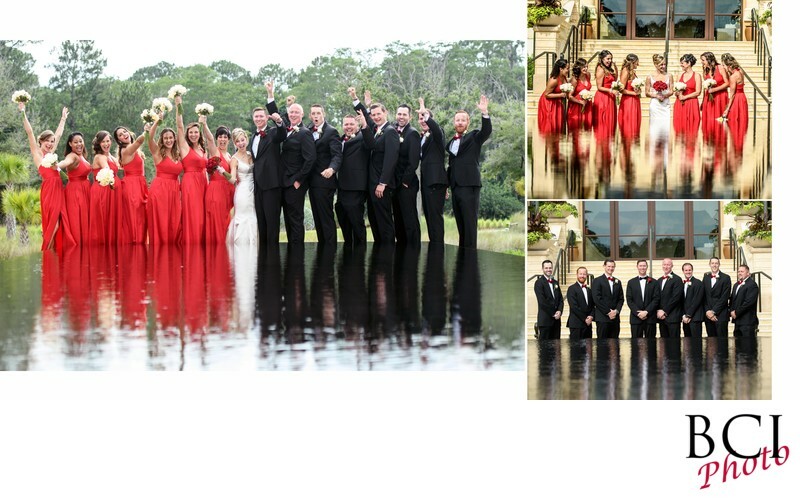 Check out the four seasons disney for your wedding day.